Do you ever have one of those days that just starts off great? I went to my LQS this morning and got a parking spot right in front of the door. 🙂 You know that never happens, I’m usually a block away!! Then I caught one of the FQ’s that they throw out. Then my ticket was drawn for one of the door prizes!! What a way to start my day!! 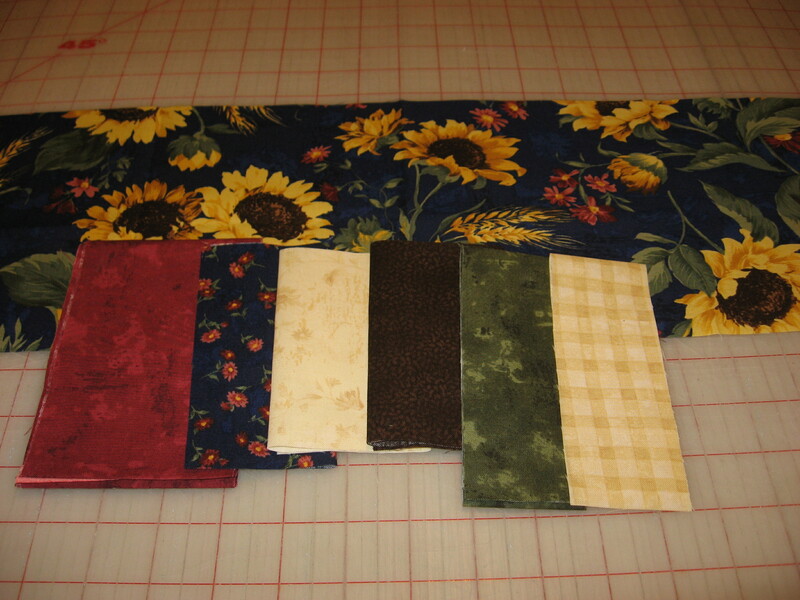 Here’s the fabrics that I’ll be working with on the BOM for this year. Our choices were either the sunflower fabric or batiks. I really like batiks, but I chose to go with the sunflower print. 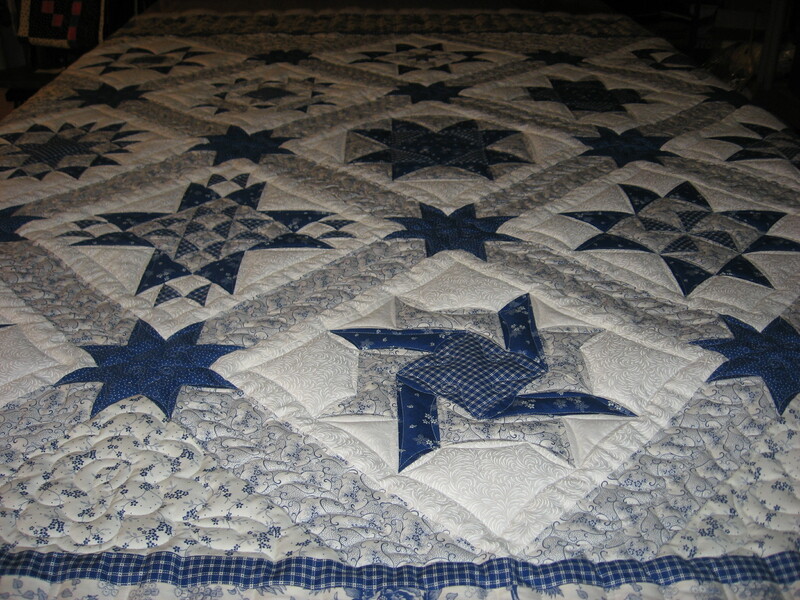 I finished quilting all 3 quilts that I needed to do last week. I also finished piecing the top on my 2009 BOM. I made the stars different on mine different than what the pattern called for. 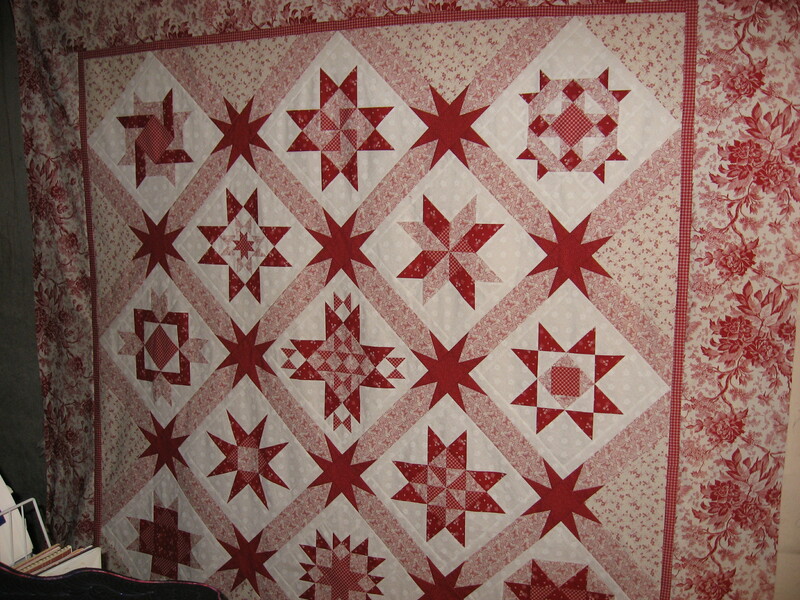 I used Marti Michell’s Sashing Stars templates. I bought the templates a while back and hadn’t used them yet, so I decided to try them out. 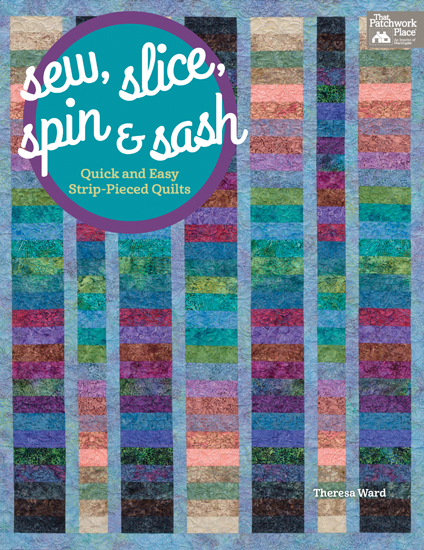 Quick, easy and fast!! I give them a thumbs up!! 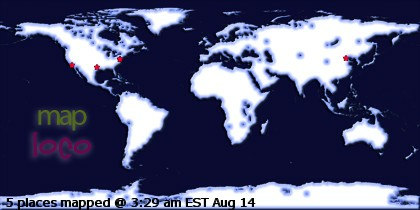 Here’s how the stars look according to the pattern.